Smoke gets in your eyes 2! A tobacco farmer in Pinar del Rio, Cuba taking a brake contemplating his efforts with the fragil tobacco plants. This is the origin for the Cohibas, Partagas, Monte Cristo and so on. Only the best! 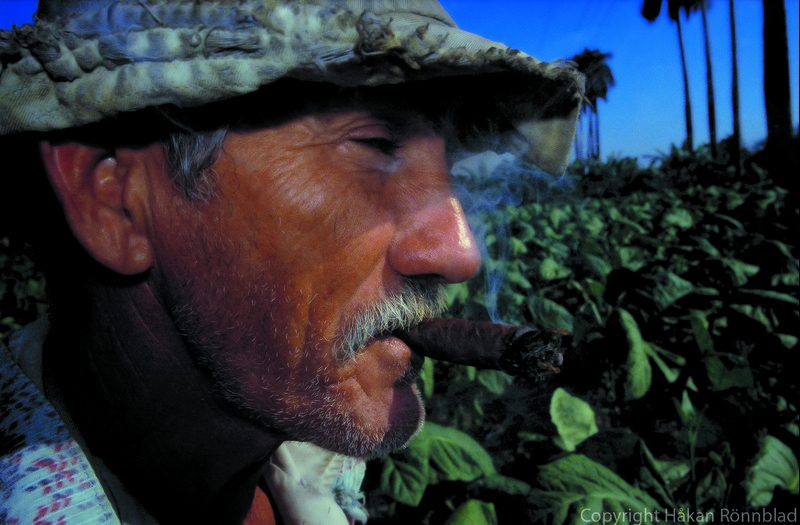 This entry was posted in Cuba, photography and tagged cigar, cigars, Cohiba, Cuba, Kuba bilder, Monte Cristo, Partagas, Pinar del Rio, portraits, tobacco, Tobacco farmer, Viñales, Work. Bookmark the permalink.